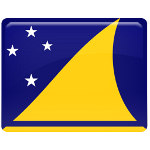 Tokehega Day is one of the public holidays in Tokelau (the dependent territory of New Zealand). It's annually celebrated on September 3 on the anniversary of the signing of the Treaty of Tokehega between the USA and New Zealand. The Treaty of Tokehega was signed in 1980 to delineate the maritime boundary between American Samoa and Tokelau. The treaty was signed on one of the Tokelau islands, on Atafu, on December 2, 1980. According to the treaty, Swains Island (known in Tokelau as Olohega), that is historically and culturally a part of Tokelau, became the part of American Samoa. The treaty came into force only on September 3, 1983, thus laying foundation for creation of a new holiday for the citizens of Tokelau. Why does Tokehega Day has such name? It derives from two parts of the names, “Toke” from Tokelau and “hega” from Olohega. Anniversary of the day, when the Treaty of Tokehega came into force, is a public holiday in Tokelau. However, many citizen would like to return Swains Islands to their possession, as it was before the treaty came into force.